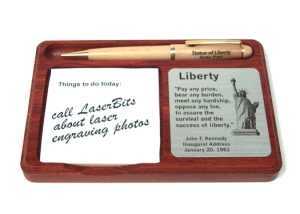 High quality memo and pen holders accent any desktop. 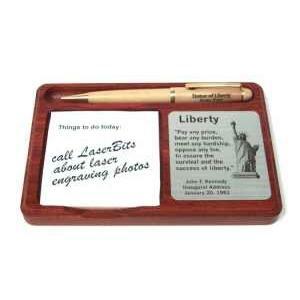 These memo and pen holders are designed to hold sticky note pads and are very functional. 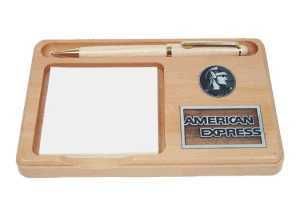 The large engraving area looks great with corporate logos and personalized names. Available in maple or rosewood. 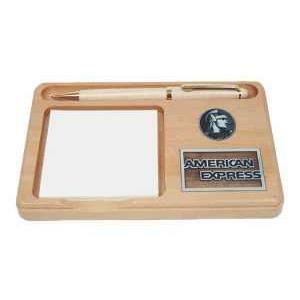 PLEASE NOTE: Pen and pad not included. 6-3/4" x 4-1/2" x 3/4"